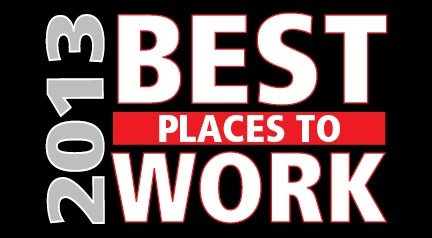 What makes somewhere a great place to work? It's a question that has become important to every industry - but particularly PR, where the currency is people and their ideas. What makes somewhere a great place to work? It's a question that has become important to every industry – but particularly PR, where the currency is people and their ideas. "The employee turnover rate in the industry is about 15% to 20% – and when you lose that high of a percentage of people every year, you should expect client turnover," says Jim Delulio, president of executive recruitment firm, PR Talent. "But if you're working to create a great place to work, that is a smart business strategy." As part of PRWeek's Best Places to Work survey, communications pros ranging from account executives to managing partners answered questions about pay and benefits, employee advancement and development opportunities, work-life balance, internal communications, and more. Their responses are eye-opening, shedding light on what makes staffers stay with their current employers, or perhaps entices them to look elsewhere. While all the experts interviewed agree that no one these days moves strictly for money, compensation is still a key consideration. While few said their place of work had salaries that were poor or below average, only 32.6% said pay was excellent. In the area of compensation, the highest excellent ratings in the survey went to paid vacation (57.5%) and medical coverage (44.2%). The lowest mark went to performance-related bonuses (29.2%). Judges were not surprised by this result. "Anyone who says their bonuses are excellent is lying," asserts Lisa Ryan, MD, Heyman Associates. "This is why the industry has become title happy. ‘We will give you the title, but not a bonus with it.'" "Performance bonuses are much clearer in corporate positions than in agencies, where they won't promise anything because it's based on the firm's overall performance versus that of an individual," adds Lindsay Olson, founder of PR recruitment firm Paradigm Staffing. "People do get bonuses, but the amount varies significantly, and it isn't always clearly communicated as to why they received a certain amount and for what reason." Where compensation is equal between two employers, experts say that perks encouraging work-life balance can be a deciding factor. "What I hear most from candidates, especially on the agency side, is an expectation that there be flex time and leeway in terms of work hours," says Olson. "I've seen more agencies allow for this, where there is almost an unsaid understanding that you can be flexible in your working hours as long as the job gets done." Eighty-eight percent of respondents said they can work from home – a figure that surprised experts because it was so high, although many noted the definition of "working from home" differs between companies. The number of employers that offer flexible hours and telecommuting also came in high: 79.4% and 65.2%. Delulio says work-life balance perks "are particularly important with a communications workforce because it is largely female, many of whom have children and need the opportunity to occasionally telecommute." Still, Delulio has found many agencies offer such benefits on an ad-hoc basis – the wrong way to go, he contends, because it can undermine a positive workplace by creating animosity between workers. "If the person next to you is working two days a week at home and you're not, that can create tension," he says. "A program has to be set in place that is transparent, clearly understood, and everyone can take advantage." PR employers also registered strong numbers in terms of employee development and advancement opportunities. Almost 94% of them offer consistent access to senior-level executives; 84% to internal universities/learning programs, and 67% to cross-training in other roles. While internal universities/learning programs are popular, only 59% offer payment toward university courses. Experts say the latter is cost prohibitive for most small and midsize agencies, while internal programs give departments and firms an added measure of control. Mentoring programs also proved pretty popular. However, reverse mentoring – the practice of pairing upper management with young employees who are digitally savvy – was only offered by a scant 16%. Kathy Cripps, president of the Council of PR Firms, believes this figure would have been higher a couple of years ago: "Its popularity is waning because more people are comfortable with digital and social media." Others argue that a lot can still be learned from young people. "I'm a big proponent of it," says Ryan. "It surprises me that I am seeing it more on the client side." Such a program would help young people feel more ingrained into the agency, she believes. Ryan theorizes that is perhaps one reason why only 40.6% of respondents rated their workplaces as having excellent "clear team-building goals." During the last few years, many agencies and in-house PR units have relocated or redesigned their physical spaces, with more open floor plans designed to encourage creative thinking. The move appears to be paying off: location rated excellent (63%) at many places; 56.1% said the physical space reflected the company's brand; and 53% said they had an excellent/well-stocked kitchen. "Agencies have really figured this out," says Delulio. "They are a lot better at providing good food and work space. Employers better understand that people who go into PR or marcomms are looking for an environment that is conducive to sparking creativity." The survey also sought to find out if PR firms and in-house PR units practice what they preach to clients, in terms of clear and transparent internal communications. One area in need of improvement: employee recognition, which only 51.6% of respondents said was "excellent." Despite the fact many agencies do give shout-outs to staffers, Olson says lack of recognition "is one of the reasons why candidates, especially more junior ones, want to make a move. They are not getting a lot of feedback about their work and lack clarity on career direction." No matter how many benefits and perks a workplace offers, experts agree programs have to be well communicated to be effective. Also helpful is a clearly defined company culture embodied by management. "I don't see enough of a cultural constitution – a living, breathing document that everyone adheres to in the agency, from the bottom to the top," adds Delulio. When asked how they would categorize internal communication at their companies, 47% said "excellent." That figure rises to 86% when "good" is included. Cripps notes that agencies are striving to be more transparent. Some are even opening up their financial books, so staffers have clarity on decisions being made. "When employees understand where money is going, they can better understand why, for instance, management didn't make new hires," she adds, "because they just invested in new technology." Long story short: no longer is a great workplace defined by a few criteria. The variables for why employees want to stay or go elsewhere are many – and the combination of them ultimately determines a desirable workplace. PRWeek's Best Places To Work Survey was conducted through SurveyMonkey. Email notifications were sent out to more than 100 PR firms and 140 in-house communications departments at Fortune 500 companies. A survey link was also posted on PRWeek's social media channels. About 1,000 respondents from 85 organizations completed the survey between September 13 and October 4.